The State Board of Education took a quick and cursory look at some flat test scores Thursday afternoon. State superintendent Sherri Ybarra and State Department of Education staff presented the early numbers on the Idaho Standards Achievement Test and the SAT. On both tests, the results were virtually unchanged from 2015-16. Here’s a summary of Thursday’s data drop. 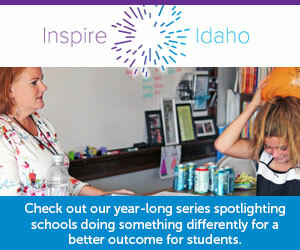 In the third year of the online test, aligned to the Idaho Core Standards, two familiar patterns reemerged. Math scores lagged — particularly in junior high and high school. While 50 percent of third-graders scored proficient, that percentage tumbled to 32 percent for 10th-graders. Compared to 2015-16, this year’s preliminary numbers are a mixed bag. In math, scores improved in six grades — by 1 or 2 percentage points — and dropped in third grade. ELA scores improved in three grades, and dropped in four grade levels. In science, 66 percent of fifth-grades scored proficient, an improvement of 3 percentage points. Seventh-grade proficiency was 53 percent, down 1 percentage point. The SDE issued a one-page summary of the results Thursday, and will release district- and school-level data this fall. Also known as SBAC — for the multistate Smarter Balanced Assessment Consortium that developed the test — the ISAT has come under some fire since its inception in 2015. Some school superintendents say the test takes too much time and does not deliver useful data. Some lawmakers have proposed scrapping the ISAT, but their efforts have gone nowhere in the Statehouse. Scores on Idaho’s college-entrance exam of choice were stagnant. Students averaged 998 on this year’s SAT, down from 999 in April 2016. The SAT, with sections in math and evidence-based reading and writing, has a perfect score of 1600. But the more germane metric is the “college-readiness” yardstick. According to the College Board, the SAT’s developer, a 530 in math and a 480 in reading and writing translates to college readiness. In April, 32 percent of high school juniors met both college-readiness benchmarks, down from 33 percent in 2016. State law requires all high school students to take a college-entrance exam in order to graduate. The overwhelming majority of high school juniors take the SAT each April, because they can take the test at the state’s expense. The statewide SAT day, with a taxpayer tab of about $1 million, is one of several state initiatives designed to boost Idaho’s lagging college enrollment and graduation rates.